Get Red Cross training in Hawaii that suits your needs and your learning style. With a wide range of classes for students of every age, we can help you prepare for emergencies, learn new skills, and become part of a community that's not only willing, but equipped, to help in times of need. Explore the types of Hawaii Red Cross classes available, and find new ways to make a difference. NOTICE: We regret that the American Red Cross Summer Swim program at Ala Moana Beach has been discontinued effective 2015. As of October, 2015, the Nurse Assistant Training Program in Hawaii has been discontinued. Hawaii CPR classes, AED and First-Aid training are available online, in person and via our blended Simulation Learning experience, which combines online coursework with in-person skills sessions – making it possible to learn at your own pace, then demonstrate your skills to a trained professional. After successful completion of the class, you'll receive certification that's valid for two years, and access to a wide range of refresher materials. 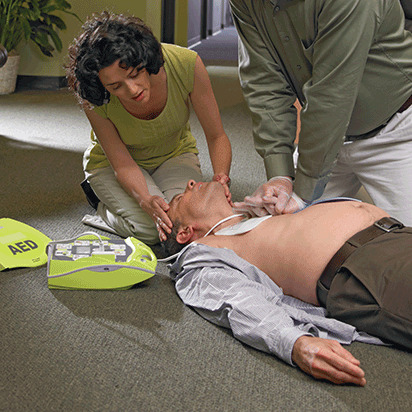 When you choose in-person AED, first aid and CPR classes in Hawaii from the American Red Cross, you'll join others from across the area for training from experienced, licensed professionals. Part lecture, part hands-on skills session, our in-person classes give you plenty of time to ask questions and become comfortable with the processes and procedures involved when providing care. The American Red Cross delivers Basic Life Support (BLS) training in Hawaii that can help you deliver the right level of care when and where it's needed. By blending reading and lecture with hands-on experience, our Hawaii BLS classes allow you to learn new techniques and sharpen your skills so you can provide those in need with the best possible care. From classes designed for healthcare providers and first responders, to courses developed specifically for your department and your local protocols, we can help you earn the certification you need. Regardless of how you train, our BLS curriculum includes all of the standard scientific learning objectives necessary in professional resuscitation courses, as well as sections on teamwork, critical thinking skills, reflection and debriefing. AED training in Hawaii takes just a few short hours to complete, but can help save a life when every minute counts. With in-person, online, and our blended Simulation Learning, which combines online coursework with in-person skills sessions, you can train the way that suits you best, and get the experience you need to deliver care during times of crisis. In-person Hawaii AED certification classes from the American Red Cross are taught by experienced professionals who can help you understand how and why to use an automated external defibrillator. Throughout the lecture portion of the class you'll learn "theory," and have ample opportunity to ask questions. During the skills session, you'll learn how to use AED devices properly and will receive personalized instruction to ensure that you understand all of the procedures. In Hawaii, first aid certification classes from the American Red Cross are delivered in a variety of ways. For full certification that's also OSHA-compliant, it's important to enroll in our in-person or blended Simulation Learning courses, which allow you to demonstrate your skills to a trained instructor. For individuals who don't need an OSHA-compliant certification, we offer online courses that allow you to learn at your own pace and practice your skills via our interactive coursework. Be prepared to help. When you sign up for first aid classes in Hawaii from the American Red Cross, you'll learn the latest science and techniques for providing care during times of need. Available online, in person and via our blended Simulation Learning experience, which combines online coursework with in-person skills sessions, our first aid training can help you save a life. For the past 100 years, we’ve been helping millions of kids, teens and adults learn how to swim and become lifeguards and instructors. So the water can be a safer place for everyone.